I am a big believer in dreams. I think everyone should follow their dreams and try to make them come true. This is what I did in my life and I wish for everyone to do the same. That was my inspiration. I took a fabric bag, upgraded it and dressed it up with a message: "DREAM! 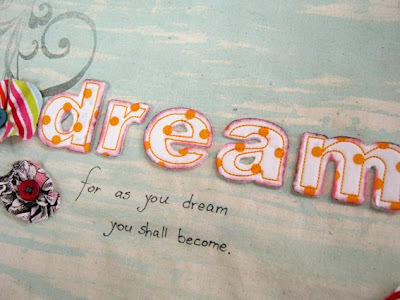 For as you dream, you shall become". 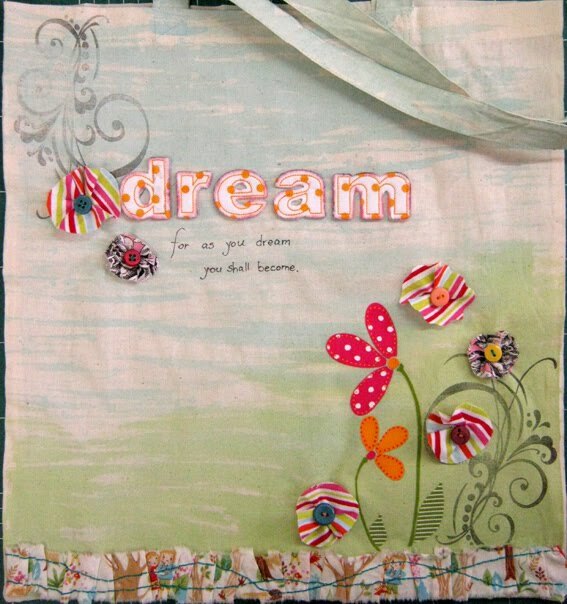 I colored the bag with acrylic paints, stamped it and sewed fabric border on the bottom. 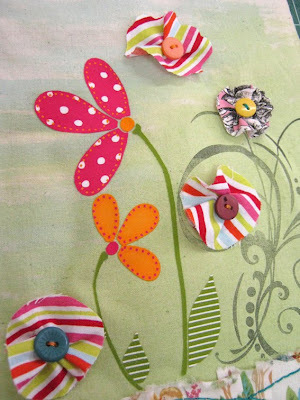 I added iron-on flowers and some fabric flowers I made from circles and buttons. 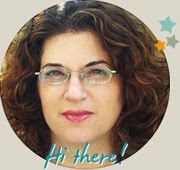 אני גם מאמינה בחלומות וללכת בעקבות ההגשמה.